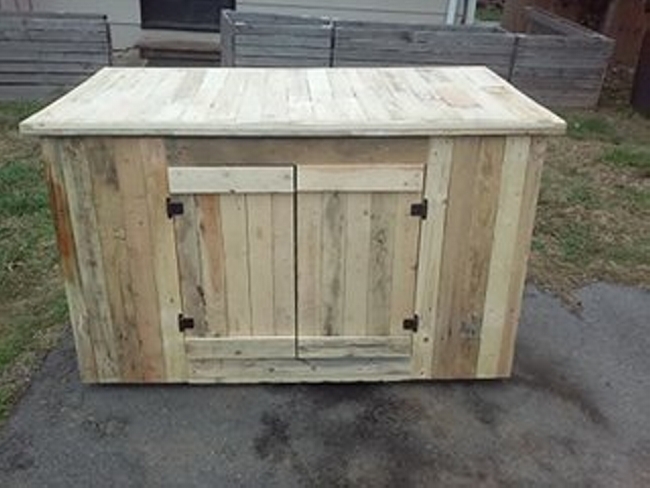 Pallet wood recycling is an emerging art that is compelling a large segment of society to get inclined towards it. 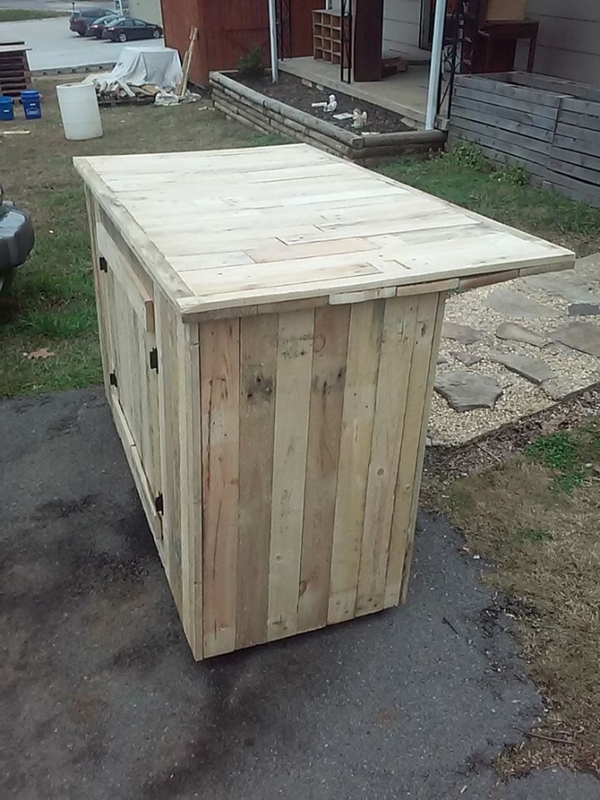 This has got a number of reasons behind getting popularity, it is handy, it is user friendly, its basic material that is wooden pallet is easily available everywhere in bulk, and it let’s you make a number of daily use items that we purchase against hundreds and thousands of bucks. 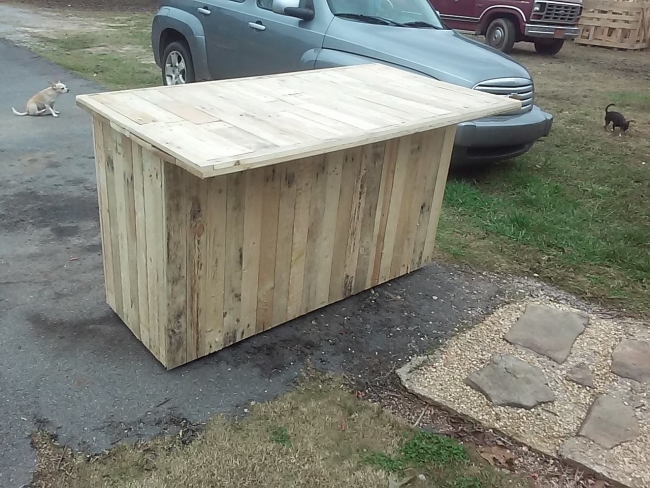 Like here we have a pallet counter desk with storage. That is something pretty marvelous to work on like a counter desk is very common furniture or wooden item that we come across frequently during the daily life affairs. Having a detailed look at the said product, a wooden counter desk is pretty common in our daily life matters. We use it as a cash counter or to display some of our accessories. And its additional feature of storage is making it worth taking all the pains and efforts. 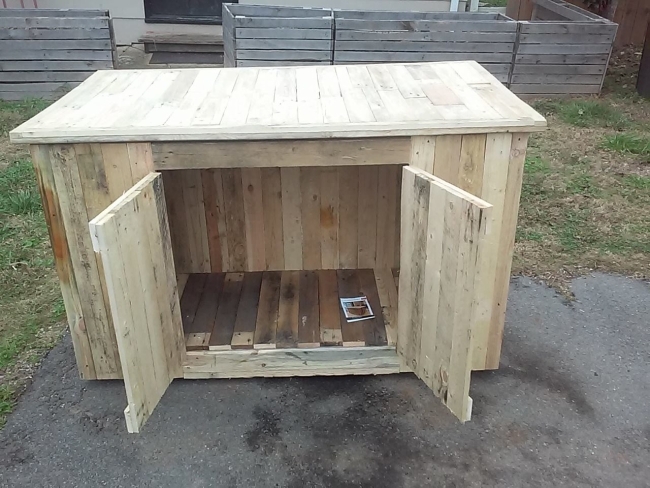 The whole basic structure is upcycled using the raw wooden pallets, then some complimentary metallic handles are fixed on the front. This pallet wood counter desk with storage is going to help you in your domestic home life and your professional life as well.